I decided to start posting my charts here. And I just opened my thread for 2017. Sing Me to Sleep managed to combine melancholy into a dance movement. Not as successful on my chart as Faded (to come later), it nevertheless became Alan Walker's 1st number one. It had a quick trajectory up and down the chart and just narrowly misses becoming the first #1 to not make the top 40 in years. Bishop Briggs soulful voice permeates this song with its strong percussive bass and staggered vocal. It had a slow ascent, spiking into the top ten and staying there for a month before descending. Selena pours on the seduction, adding just enough desire and carnal moan in the chorus to imagine her trying to contain herself around her man. The playful "I mean I could, but why would I want to?" is crucial to indicate she's not been turned completely mindless by lust, but it's clear she wants her man bad. 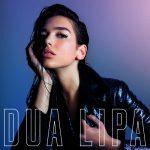 Dua had a huge year on my chart, becoming the first female to see her first three songs to chart hit #1. The other two are further up the chart, but this song's trajectory may have impacted by having to compete with herself while it was charting. Nevertheless, she sneaked a week in at #1 in mid-August before she cratered after his top five run was complete. Brother Nick may be one of my favorite thirst traps, but DNCE made it to #1 before he did. THe song, ebullient and goofy, was just what I needed as winter melted into spring. Despite its short stay in the top ten, its descent was slow enough for it to push through to the top 40. Wow shot to fame here in the US through a commercial, but it wasn't until the end of its run that I saw the ad, which resulted in a couple extra weeks on the chart that allowed it to move past Coldplay. 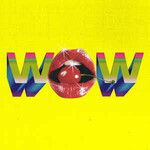 Wow picks up where Beck's Dreams left off, with vocals that seem to float above the cacophony he's created. Dreams finished last year at #11 for the year and was a stronger hit, but Wow was a good way to continue the legacy. 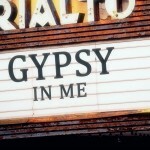 "Sing Me To Sleep" was a nice follow-up to "Faded". I really thought Alan Walker would end up as an obvious one hit wonder but i guess i was wrong. "Sing Me To Sleep" has a nice melody and deserved even more success after all. Also glad to see Selena here as i love her. "Hands To Myself" isn't one of my faves from her though. Selena actually made my top ten in my 2015 year-end with Good For You! Entering the top 40 in the waning weeks of the year, Adele had already had a successful year on my chart. And this song would be much higher if we could account for its entire run seeing as it reverses course in my latest chart (the last week listed does not count in credit towards the top 40. Water Under the Bridge is definitely one of the highlights of her album, but like Hello before it, its year-end ranking is affected by being split between two years. The 2010 me is probably wondering how the hell Justin Bieber made my year-end list, but this song is terrific. I was late in charting this. It didn't debut on my chart until February, and it remains his only appearance on my chart, but I probably need to stop being petty and let Justin crack my chart more often because his latest efforts have been quality. I do think Sorry is his best song. I know. How is she this low? I don't get it either because this was one of the best songs of the year. I read so many think pieces when this came out about its take on heritage, racism, the #blacklivesmatter movement, and how she manages to compact that into a four minute song. It is just brilliant. 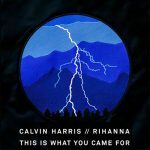 The song hit #1 for three weeks. I think the song is ranked low because unlike some of the other songs, it peaked really quickly, and didn't get points other songs get in a lengthier climb. I'm sorry, Bey - you deserved better. I know this song was a bit of a flop chart-wise, but I love the rush of words that Emeli spills, almost as if she's speaking faster than she can think - a rush of words to get all the emotion out. This song had a slow descent which helped it appear a little higher in the year end ranking. Probably the closest descendant of the Clean Bandits' "Rather Be" I've heard - this song manages to capture the sound of 90s club music and modernize it. It stood out on radio as a result, which made for some decent chart success. On my own chart, it benefits from a lengthy stay in the top ten even if it didn't crack the top five - it had four weeks just outside of it. Country music doesn't generally play well on my chart. I don't dislike it; I just don't really put myself in a position to hear it very often. So, a country #1 is unusual enough. But this is Kacey's second #1 - she hit #1 with Biscuits in 2015, and did well enough to nearly make the year end top 10. She's one of only two country artists to do that. I'm a huge holiday music fan, so it's not completely unusual for a Christmas song to make the top 40, but it didn't happen last year. We'd have to go back to 2014, when "Santa Tell Me" by Ariana Grande managed to sneak in at the last week. 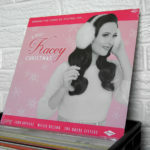 Kacey had a nice run to end the year and enough to bump out one of the honorable mention songs in the final two weeks. She would rank a little higher if we added the full run, but probably not much higher as she falls to #9 on the first 2017 chart. Stay tuned. A couple of those make another appearance. I'm surprised how Kacey got in here right away! Can't wait for the rest! I like all these songs, barring the Kacey one that I do not know. Kungs are looking quite Coldplay-y My favourite is definitely Emeli, big fan of the rush of words style you speak of! ...from your bubblers. Love both the Justin & Mike tracks, both topped my chart. Another fantastic batch of songs here. I love Coldplay, they're one of my fave bands of all time. Adele is equally amazing and Water under the bridge was #1 in my chart towards the end of 2015 following the release of 25. Calvin & RiRi didn't fail to deliver imo and i'm happy they didn't just try to redo We found love part 2. Kungs' track is incredible, i discovered it when it started doing well in France and its definitely one of my absolute favourite dance tracks of 2016. Kungs' track is incredible, i discovered it when it started doing well in France and its definitely one of my absolute favourite dance tracks of 2016. Thank you, Jake. Coldplay is a huge favorite of mine. They've got all sorts of interesting chart stats on my personal chart. The Kungs probably deserved to go higher. I'd have to go back and check, but my top five must have been pretty competitive to stall so hard just outside of it. OK, gonna start working on the next batch now. There's probably some penance here for not charting Lean On last year, a song I ended up not really getting into until it was well past its sell by date. MØ has an unusual enough voice that it fits best when there's a lot of action going on in the song that it just seems to gel with it all, like this one, which has all sorts of Asian influence against a dance beat. 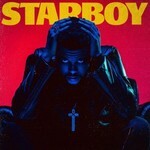 First of all, props to The Weeknd for bringing back Daft Punk! And more props to him for coming back with a compelling, haunting melody that simultaneously marks a diversion from his previous album and still sounds like it fits The Weeknd like a glove. 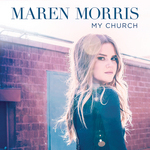 This song was out-of-the-box hit on my chart with a top ten debut, but faced strong competition when it stalled at #4. All three songs that blocked it from progressing are still to come. Did I mention Rihanna only showed up with her work with Calvin? Oops. I guess I think this as more of a Drake song even though she has just an equal part. This is such a great song when you are absolutely over another person, and just want to forget the whole thing - "Last night, I got as high as the expectations" contains so much - the desire for escape, the frustration in trying to meet someone's standards, and the ultimate realization that you are better than that is liberating. Hmm, maybe this is why Drake is now with J. Lo? Remember earlier when I said Kacey was the first female country singer to hit #1 on my chart? Well, Maren was the second, just this year. Someone had submitted it as an entry in one of my tournaments (see my signature for an example of one), and I instantly liked it. I have to think anyone on this board sympathizes with Maren, who finds joy, salvation, and comfort in blaring the music she loves in her car. The Lumineers are from Colorado, so that always gives me a little extra incentive to chart them. This song ended up doing better at year-eend than I expected it would. It was the first single from their album this year, and I found it to be more upbeat than the previous songs they'd released, maybe a little sing-songy, but it had very little burn on me for awhile. It had a very slow ascent, and I think about the time it peaked, I realized I was tired of it, so it dropped quickly off the chart. The highest ranking country song of the year goes to Thomas Rhett. He would have finished in the top 20 if the first few weeks from December could have been counted. This is a touching and beautiful heartfelt love song that just sucked me in. It happened to be held out by the song that spent the most weeks at #1 this year, or it might have been a #1. Haha, I don't remember this being as huge on my chart as it appears to have been, but I did love this song. But here I am at the end of the year, and on reflection, I don't htink this left much of an impression on me. "Never Forget You" is easily my fave of them all, so it's kinda sad to hear it didn't left an impression on you. Still, it made the Top20, so yay for that. Too Good is my favourite here, with Starboy a decent second! Tansike, I still like Never Forget You, but it hasn't gotten much play since it fell off my chart. Anyhow, I am going to work on the next set! There's an otherworldliness here - that somehow combines celestial background vocals, 60s fuzz guitar, and pop sensibility. Now THAT'S really capturing lightning in a bottle. This song lingered on the outside of my chart for the longest time and then started getting more airplay the more I couldn't get it out of my head. It finally debuted in February and had a strong, deliberate run on the chart. Sigh, I haven't listened to this song in a few months because it reminds me of someone I lost in September. And the song is about loss and heartbreak. 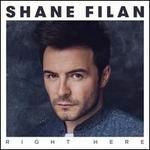 The person introduced me to Shane Filan, and to this beautiful, sweet song just months before he passed. I already know I'm going to be the only person who UKMix, who stans hard for Bonnie Raitt. I've loved her for many years There's just a grit to her voice that works whether she's talking about heartbreak or growling through a honky tonk blues song. Here she covers a Los Lobos song, which is ALSO a huge favorite, so the two coming together was like catnip for me. Bonnie Raitt had a great year on my chart, through her album, yielding four top ten songs, two of which hit #1 and make my list. This song had an exaggerated bump to #1 in wake of being added to my Halloween play list. Once Halloween is over, it dropped pretty quickly. Ariana's chart fortunes have been strong since Problem. This was her fourth chart topper on my list, and she has another four that have peaked at #2. With one of the higher debuts of the year - at #7, though she kind of danced around the top three for a few weeks before hitting #1. The Mwah! kind of sells it. Dua Lipa had an end of the year smash with this song, which ended up becoming her third chart-topped of the year on my list. Of the three, this is clearly the most playful. the friend who passed - he also had a personal chart and this was his final #1. :( The song might have gotten slightly higher if its full chart run were to be included. Delayed a bit due to the dominance that was Hello (Hello would have finished #2 on this list if its entire chart run could be included, but it did finish #8 on last year's list), which meant that when it debuted in January, it debuted at #2, the highest debut of the year. It wasn't able to capitalize on its success as when it hit its stride, she found herself competing with Formation. I guess Adele has the last laugh though because at year-end, she's much higher. Adrenaline just fell off my chart this week and was able to get its entire run. Zedd nearly went the distance in the year-end last year, finishing #3 for the year with Addicted to a Memory. While that song was mostly instrumental, this is Zedd's first appearance with a completely instrumental song with collaborator Grey. True to the name, it's a high energy, frenetic bop that went perfect with an unnaturally warm autumn. I like the Adele, Ariana and Dua songs in that set! I had heard enough buzz about Troye tht I decided to check it out myself and I wasn't disappointed. This song reveals an artist who is fully in tune with the pitfalls and positives of youth, understanding its fleeting nature, its naivete, and its energy and rolls that up into a song packed with house flourishes and drums. Bonnie misses out o the top ten by just one point, and one song managed to leapfrog over it in the final weeks of the year. It would have been Bonnie's first year-end top ten showing since 2005. But don't cry for Bonnie - she had one of the most successful chart years ever on my list. Debuting with this song back in the second week of January, she managed to keep a song in my top 20 all the way through November wit four different songs, two of which made the top 15. The song appeared to peak at #3, only to reverse to #1 in a suprise showing and a slow chart week. A global smash that spent two months hunkered down in the top five. In any other weeks, it would have hit #1, but happened to face the strongest competition of the year when it peaked at #2. I'm not sure what makes this song so magnetic - it certainly isn't the variety in Drake's voice, which is almost monotone, but the power of the song likely comes from it's minimilast background, the ethereal vocals of Kyla, and lyrics that indicate a moment of longing in a temporary setting. This song's year end position benefitted from a slow climb to #1 - it took 10 weeks to get there, and managed to squeak in just in time. It's Ariana's second appearance in a year-end list - Problem finished at #3 for 2014. Unlike her other two singles, this one has a nice mix of tempo - it starts quiet, low, and yearning before exploding to the full passion of the chorus. And here we have Dua's third and final appearance in the year end list. This was the song that started it all, and I believe it's her sunniest, brightest, and most joyful single. 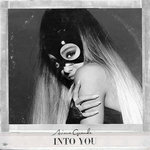 Unlike Into You, this song bounded up chart in just three weeks, and then got comfortable in the top ten for a few weeks beyond its chart-topping run. Tove Lo has enough juice to make the top ten in the closing weeks of the year. The song peaked at #1 back in September, but had a slow enough descent to still be charting for three months after that. This is Tove's second appearance in the top ten after showing up with Habits in 2014. This is her highest appearance. There's something amazing that takes place in this song. Tove Lo, in her bid to stay detache and "cool, becomes less voice and more automaton as the song goes on before her voice is series of electronic clicks and buzzes as the humanity seeps away. Still not high enough. Despite the DJ beat, the song has a distinct sense of longing and loneliness, with which I immediately related. There's interpretations to this song of seeing someone or something slip away from you back into the shadows felt deeply personal, and that connection kept the song charting on my list for months. I thought this would contend for #1 given its amazing chart run. It lasted on the chart far longer (29 weeks!) than any other song this year, but the bulk of those weeks were in the lower half of the chart, which was not enough to lift it to the top five. It also had an unusual run, especially in the lower half of the chart, reversing course several times on the chart and even falling out for two weeks and re-entering. I will say that positions 8-3 were VERY close and extra week in the top 10 for any of them would have moved them up. The song debuted way back in March, and wouldn't be gone for good off the chart until October. Here are more of my favourites in your chart. All the above made my top 20 although some fared much better than others. 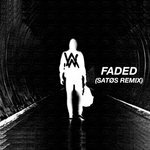 Alan Walker is my personal highlight here as Faded went to #1 in my chart. Yah, I think Faded deserved to be 2nd or 3rd, but I surprise myself at least once or twice within my top ten every year. I don't track the numbers during the year, so I never am totally sure what the final top 40 is going to be until I tally the numbers.